Accent your seaside bar with the Short Conch Shell Liquor Decanter. 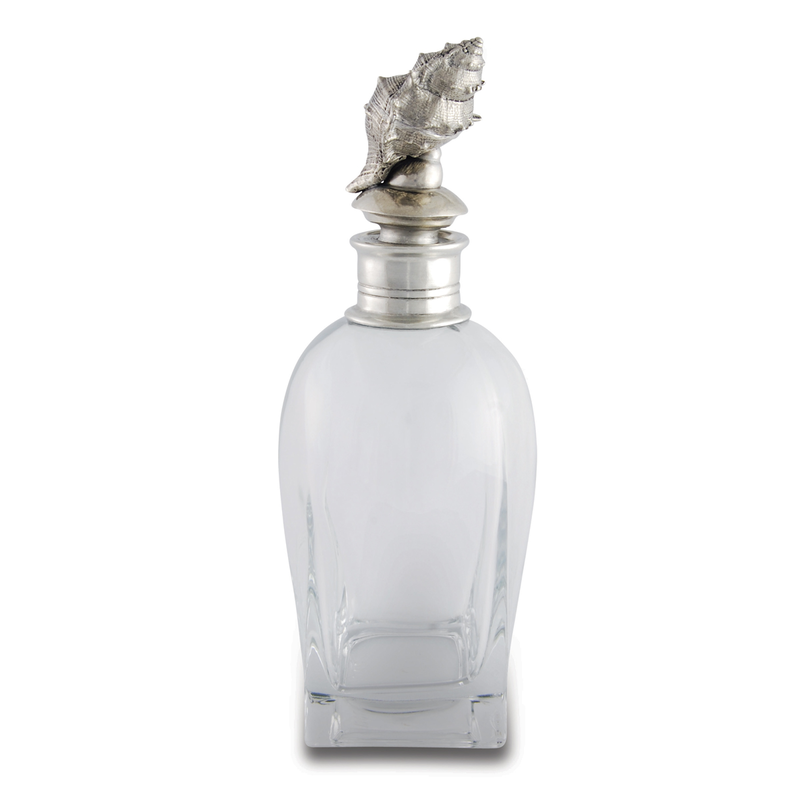 This decanter features a silvery, pure pewter conch shell finial on top of a heavy Italian glass decanter for a beautiful addition to your home. 10 1/2"H; Holds 22 oz. This coastal kitchen decor ships from the manufacturer. Allow 3 to 4 weeks. Cannot express ship. For more offerings, we ask you to spend some time to look at our thorough range of coastal kitcen decor at Bella Coastal Decor now.